Whether its a movie night, beach day, or evening at home friends, you’ll be ready for anything in a tailor-made casual shirt from Tailor Store. Made from superior quality fabrics, our perfect fit tailor-made casual shirts are the ultimate in comfortable laid-back style. Going out but don’t know what to wear? Relax, look great and feel amazing in a casual dress shirt. With so many casual shirt style options, it can be hard to know where to begin. Browse our range of Tailor Store recommended made-to-measure shirts for inspiration. 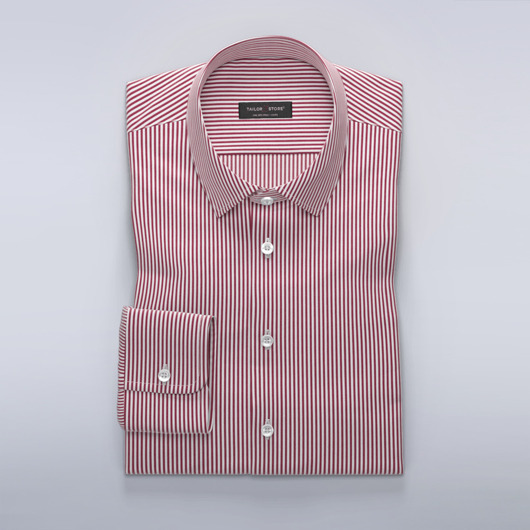 We guarantee you’ll find casual shirts for all occasions. Looking for a dress down office shirt? Why not try a tailored casual dress shirt, a perfect fit makes all the difference. Make your casual shirt feel all the more special with personally customized details. 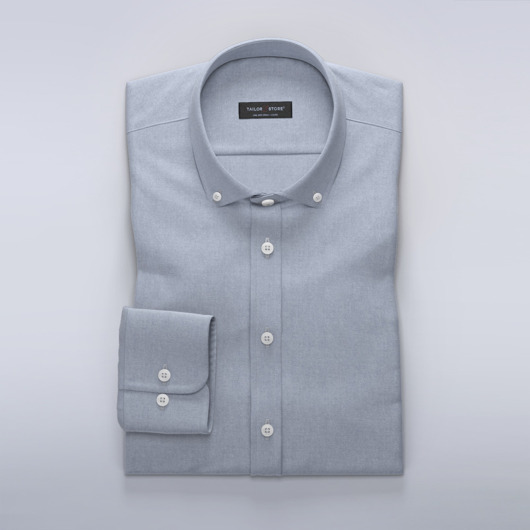 Our easy-to-use design tool lets you try different design options for your casual shirt. Experiment with alternative collars, cuffs, pockets, threads, buttons and more. You can also change the colour of your casual shirt and even add contrasts. Whatever your vision, you can create your ultimate casual shirt with us. Even casual shirts should be tailor made. Never compromise on fit or wear a casual dress shirt that is too big. We have a wide range of casual shirts, all with carefully selected shirt fabrics that give you superior quality at the best price. Some of the most popular casual shirts are denim shirts, linen shirts and Oxford shirts. The fabric, pattern and design all give clues whether the shirt should be worn with a suit or jeans. A casual shirt pairs well with chinos or jeans, and is a great style option for everyday activities, relaxed office environments or nights out. Casual shirts tend to be made from thicker and heavier fabrics, making them versatile and durable shirts. Fabrics like denim and chambray are always casual. Denim is woven in twill with diagonal threads. Chambray is woven in a fabric that gives a smooth surface. Both fabrics are woven with colored yarn in one direction and white yarn in the other. Oxford fabrics are also woven in this way. Oxford fabric is available in many varieties. Generally, the fabric has a clear weave structure. The clearer the structure and the thicker the fabric, the more casual the shirt. That said, some thinner Oxford fabrics have an almost smooth feel, making them lighter and slightly softer on the skin. Flannel fabric is characterized by its soft brushed surface. A checkered flannel shirt is always a popular casual shirt in cooler months. A casual shirt pattern is either woven or printed on the fabric. Woven patterns come in infinite variations, but stripes and checked patterns are perhaps the most common. These make for great style choices and can be worn with jeans and suits. But size matters: the larger the checks and more colors in the shirt, the less formal and more casual it is. Popular examples of patterns for men's shirts are paisley, floral, geometric shapes and larger abstract patterns. Small printed patterns on fine fabrics can be worn for all occasions except the most formal of events. Shirts with large printed shapes are best worn with jeans, chinos or shorts. Casual shirts typically have button-down collars. Other collar possibilities include Cut-Away Extreme, Cut-Away Modern, Cut-Away Superior and Mao. Casual shirts are rarely, if ever, worn with cufflinks. Choose a cuff with a simple button such as our slim cuff.